New unique flexible diamond files that allow better removal of filed material, which leads to superior surfaces finishes. Available in Plastic (Flexi Files) and Metal (Super Flex Files). 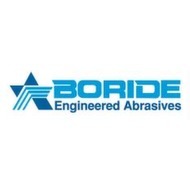 Visit our website to learn more www.borideabrasives.com. BORIDE Engineered Abrasives is pleased to inform you that we have expanded our line of Mold Makers Diamond Compound to include both oil and water soluble options in medium, heavy, extra heavy, and super heavy concentrations catering to the demands of any diamond polishing job! Product Description: CRISTONE® Crystal Fiber Stones are made from using the highest quality, chemically produced crystal fibers. The crystalline structure of the crystal fibers offers high polishing efficiency and incredible bending strength. Made from select premium aluminum oxide grain the RASP is our most versatile all around finishing stone.